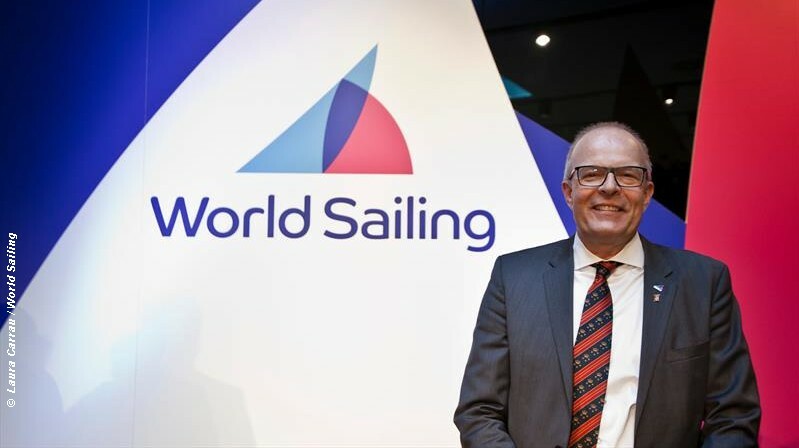 In his latest newsletter World Sailing President Kim Andersen drops a few insights of the inner workings of the various committees, so that we do gather that something is happening over in WS Tower. Apparently eSailing has proven to be a success and World Sailing (WS) has its work cut out to keep up with the demand and they are continuing the engagement with existing young and new sailors. New sailors in this context I assume to refer to on-line game players! And the President was chuffed that when the Paris 2024 Organising Committee presented at the IOC Executive Board in Lausanne last week, they made reference to the work that World Sailing has been doing with our eSailing World Championship in producing a realistic virtual version of the sport. Hopefully they remembered to mention that WS was also working on producing a realistic real sailing event! While on the subject of Paris 2024, it was interesting to read that; since November, working groups have been giving input on ideas and suggestions for the two new events, Mixed Kite Sailing and the Offshore Mixed double-handed event. Discussions with Paris 2024 and the IOC about the ten disciplines have taken place regarding the ongoing process for the selection of equipment. So presumably they hopefully know a lot more than we do. A brief mention of the Sea trials for the selection of new single hander equipment for the Paris 2024 Olympics. All will be revealed when World Sailing’s Council select the Equipment . . . no later than November 2019. And what are these overwhelming problems that have stimmed an International sailing race circuit over the past 10+ years, despite constant tinkering? Continental seasonality and calendar issues, the dominance of Europe and its events legacy, the changes and development of Olympic Host Cities, the cost of campaigning for MNAs and Olympic Committees and commercial values. Of course, no international sport, neither Football, Rugby, Tennis, Golf etc . . . has had to tackle these sorts of problems before and WS is in uncharted waters. But they have established a Working Party which will take learnings from the past. So, watch this space!